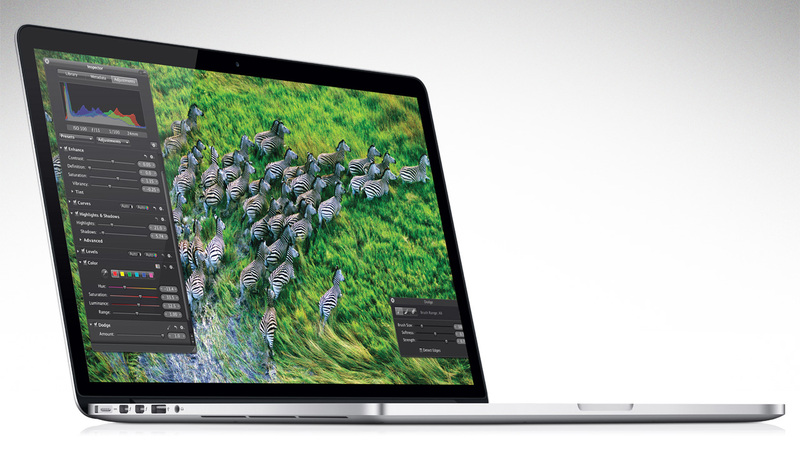 When Apple announced the new Retina MacBook Pro I thought I’d died and gone to heaven. Thin, light and powerful plus there’s that amazing “Retina” screen. What more could someone ask for at $2,799? Well in my case, I ask for twice the RAM (16GB) for an additional $200. Then there’s the processor which is fabulous at 2.6GHz but I’d always wonder how much faster my video would render with that extra 100MHz so another $250. The stock hard drive is a hefty 512GB SSD, which was enough for me since once my video/photo is edited, it all goes back onto my Drobo. Since it is 100% non-user repairable, I have to add AppleCare, $350.